We're working hard to get our RayStorm Neo Threadripper block to resellers as quick as possible. Here's a little preview. All RayStorm V3 and RayStorm Pro blocks are fully compatible with socket LGA2066. Just use the LGA2011 mounting hardware and follow the instructions for socket 2011. Older RayStorm V2 blocks with socket 2011 mounting hardware are also fully compatible. If you have a V1 RayStorm you will have to upgrade the mounting hardware. Luckily we sell a kit that incudes everything you need. We are now manufacturing waterblock upgrade kits and waterblocks for AMD socket AM4. The AM4 products will be available for purchase from our resellers by early March..
All RayStorm CPU waterblocks, going back to 2011 will be upgradeable. The upgrade kits also include our new, easy to use mounting system and our high performance K3 thermal paste. If you're looking for a new waterblock to get the most out of new CPU, we'e also shipping an AM4 ready version of our award winning RayStorm Pro. On the 1st Febuary the XSPC shop closed down. The XSPC shop has been run successfully by one of our resellers for the past few years, but this has come to an end. All current orders will be shipped or refunded where stock is unavailable. Please check our resellers lists for your future orders. We have just found a problem with our support system that meant messages were not getting through. If you have emailed for support in the past two weeks and have not had a reply, please contact us again. Sorry for the inconvenience. We recently shipped a batch of Razor 980Ti blocks without including the third page in the installation guide. If you're installing the block on a 980 card please download the full manual below. We have had a few customers email and ask if our RayStorm block will fit Intel socket 2011-3. All of our kits and Intel blocks support socket 2011-3 out of the box. As with any spherical motor, the D5 and DDC product ranges are not designed to be ‘dry run’ or run without liquid in the pump housing. Due to the bearing and rotor assembly design, fluid from the application or process is required to maintain lubrication between the spherical bearing ball and the rotating rotor/impeller unit. If there is no fluid present and the pump is operated in a ‘dry run’ situation, overheating can occur quickly. As detailed in the images below, overheating can cause the carbon bearing cap to change its location, which will cause the rotor to spin off center – causing the rotor to come into contact and wear against the inside of the motor housing. If you see conditions like this inside your pump, please investigate if it has been dry run, as this is not covered by the manufacturer. We have had been contact by a few customers asking if we have a new coolant called EC7. After looking into it we have discovered a Chinese company has been producing a fake coolant called EC7 and selling it with the XSPC logo. This coolant is likely to be either water and dye, or a low quality, toxic antifreeze. We would like to warn our customers not to use this product as it will offer little or no protection for your system. The original XSPC coolant is called EC6 and we have no plans for a product called EC7. Always make sure you buy products from an official XSPC reseller as counterfeit products are becoming a bigger issue for us. Below is a photo of the fake coolant. Last week we were emailed by a customer who had damaged a R9 R290 card while installing our Razor R9 290X water block. Three small resistors around the highlighted screw below had been damaged during installation. After investigating this issue we have come to the conclusion that this can only happen if the screw is significantly overtightened. Over tightening the screw will put pressure on the washer and the three resistors and lead to possible damage. We would emphasise that care should taken when installing all Razor waterblocks and to make sure you do not over tighten any screws. If you are worried about the possibility of damaging these components you can install the block without this screw - it will not have any effect on the performance. Alternatively you can contact your reseller and request a new replacement screw set, which will reduce the risk of this happening. We will be sending out replacement screw sets to resellers this week as a precaution. We will be launching V3 of our RX radiator series in January 2014. The V3 model will have improved performance across all fan speeds, while being thinner than the previous model of the RX. We will be publishing some performance testing over the next week. 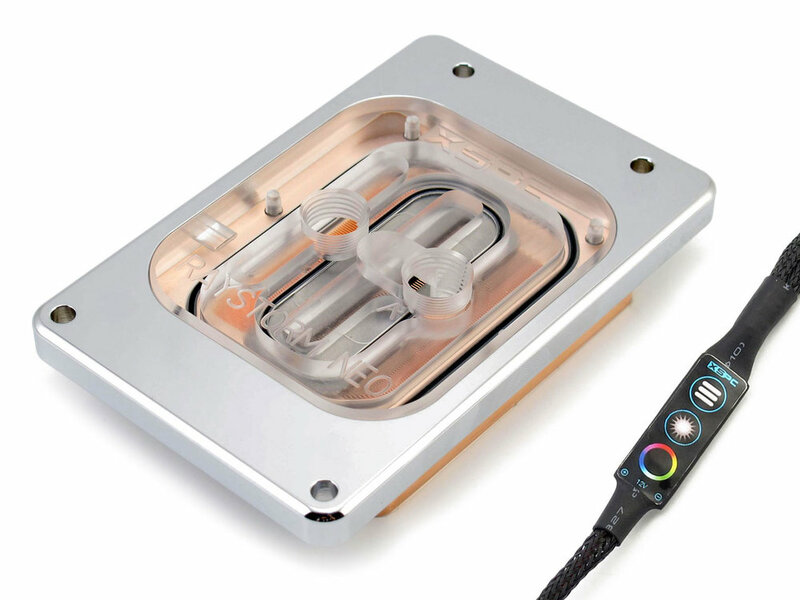 We have become aware of a fault effecting a small percentage of the first batch of our nylon D5 Dual Bay Reservoir. Please click the title to continue reading. 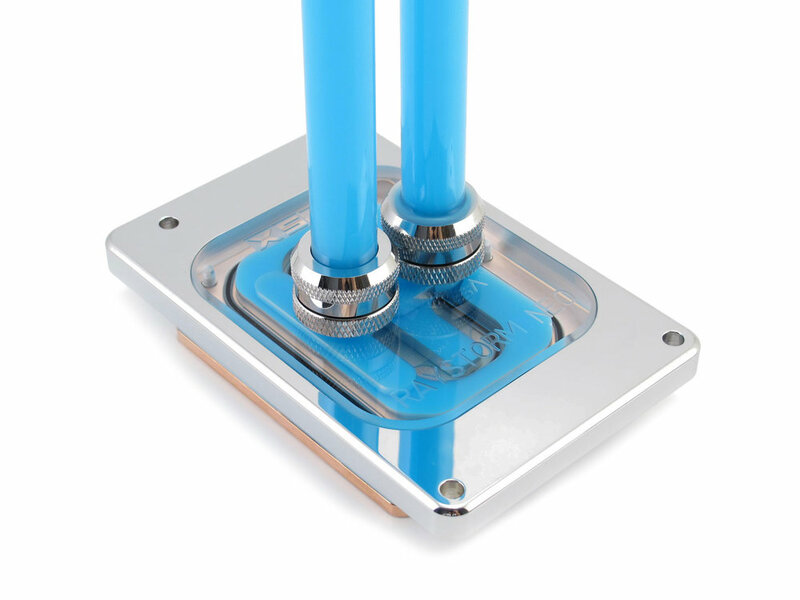 We will be releasing a Razor GTX770 waterblock next week. Our exisiting GTX Titan backplate will fit GTX770 reference design cards. Our tube reservoirs will be delayed slightly. We hope to start shipping them around the end of June. We promise they will be worth the wait. The first results from Stren's Titan block roundup are in and we are on top, beating both AquaComputer and EK. 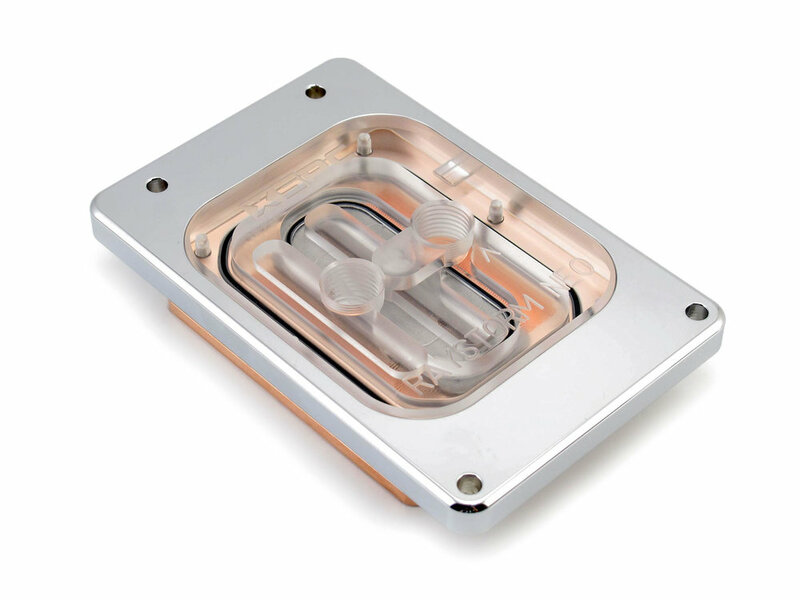 ​Razor waterblock owners, we need your help! We are busy compiling a compatibility list for our full cover gpu blocks. If you have time please check our list and let us know if you spot any incorrect or conflicting information. If you see any problems, or know of any cards we have missed, please email us. The list will soon be extended to include GTX670, 7950 and 7990 cards. We have donated a couple of kits to the TCM gaming christmas competition. Check it out below.